This exciting cruise will go on sale exclusively to the various levels of Fred. Olsen's loyalty scheme, Oceans, from 9th to 13thNovember 2018. Oceans members will be able to benefit from an exclusive 10% discount on all bookings made up to 30thNovember inclusive. This new itinerary will then go on general sale on 14th November 2018. Fred. 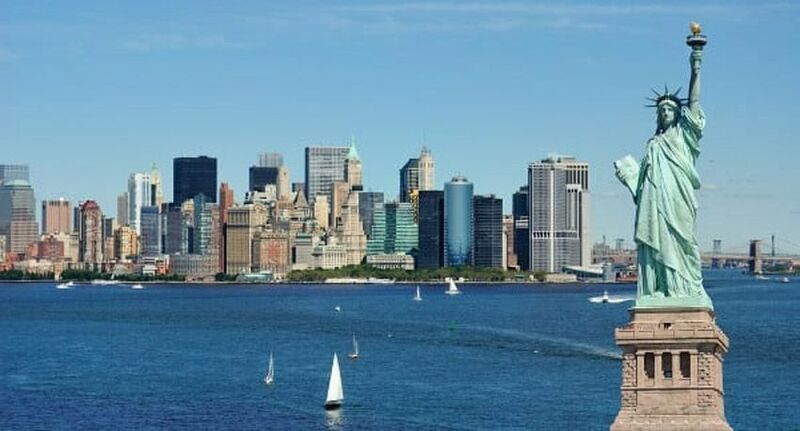 Olsen's new 'American Waterways in the Fall with New York' voyage, which is the first itinerary to be released from its 2020/21 cruise programme, will arrive first in Canada, after crossing the Atlantic. From Canada, Balmoral cruises south to the USA, where highlights include a full day's scenic sailing along the size-restricted Hudson River – a maiden call for Fred. Olsen – taking in the narrow waterways of the Cape Cod Canal and the Chesapeake and Delaware Canal at the height of autumn, and an opportunity to witness the stunning ‘changing of the colours’ of the Fall season. Balmoral then returns across the Atlantic from Baltimore via Bermuda to Azores – taking full advantage of the warmer October temperatures. “This outstanding cruise is just a flavour of the wide range of innovative and creative itineraries in our hotly-awaited 2020/21 programme. Balmoral’s 34-night L2026 ‘American Waterways in the Fallwith New York’ cruise, ex Southampton on 29th September 2020. Prices start from £4,799 per person. The price shown is based on two adults sharing a twin-bedded Interior Room, and include accommodation, all meals and entertainment, plus port taxes. Fred. Olsen will be launching its full ocean cruise programme for 2020/21 in March 2019. Fred. Olsen is proud to have been crowned ‘Best for Itineraries’ by Cruise Critic experts in the prestigious ‘UK Editors’ Picks Awards 2017’ – for a record three years in a row.